Amla (Phyllanthus emblica) is a versatile plant with all parts of the tree used in a variety of traditional Ayurvedic herbal preparations. 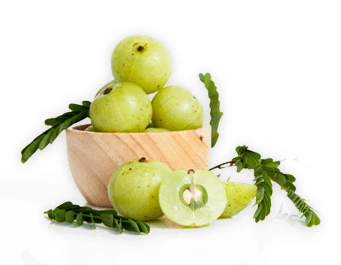 Amla is highly nutritious and contains vitamins and minerals, including one of the most concentrated forms of Vitamin C found in the plant kingdom. It also has high levels of chromium, zinc and copper. Amla’s naturally-occurring tannins help to retain most of its nutritional content after drying. In addition to possessing antioxidant properties, Amla may help support the digestive, respiratory, cellular and cardiovascular systems.